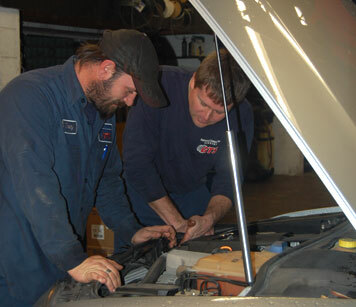 Guaranteed Automotive & Transmission Service has been the leading choice for car repair in Lafayette, IN since 1983. And we are looking forward to continuing to grow and improve, as training is a must for our auto mechanics and the rest of our team. We are a family-owned and -operated facility, with a sincere concern for the safety and wellbeing of our clients. If you are passionate and enthusiastic about the community of Lafayette, along with car repair, we encourage you to contact us to learn more about the career opportunities we offer. Guaranteed Automotive & Transmission Service is conveniently located at 3742 State Rd 38 East Lafayette, IN 47905.